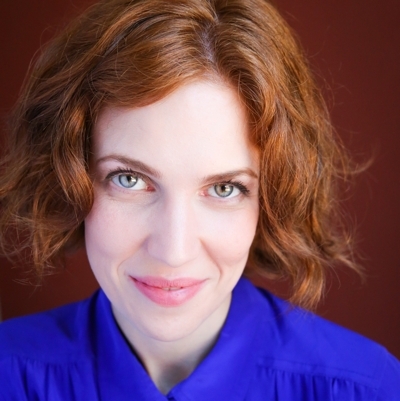 Hannah Chase is the Megawatt Director, as well as an instructor and performer at the Magnet Theater. She first discovered improv in 2002, and has studied and worked with some truly fantastic teachers and performers across the country over the last 16 years. You can see Hannah perform on Thursdays with her Block Party team, The Music Industry, and on Saturdays in the Armando Diaz Experience. Hannah has also performed at dozens of improv festivals across the country. Hannah has created and directed a number of shows at the Magnet including The Cast, which plays on Saturday nights at the Magnet and which Elise Czajkowski (comedy journalist for the New York Times) called "One of the most exciting improv shows in New York City.... the perfect show for comedy and theater fans alike." Hannah also created and directs The Blob, a Time Out NY Recommended Comedy Pick, as well as a number of other recurring shows. Outside of The Magnet, you can hear Hannah's voice in a number of Truth podcasts. In her free time, she loves alphabetizing lists, editing films, trying on other people's glasses, learning about the brain, and reading and writing medical memoir comics. She's still working on her website. It's been five years.